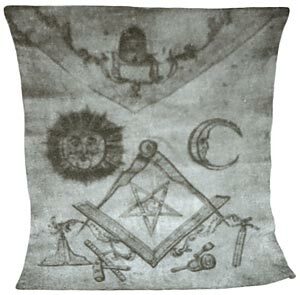 Burns became a freemason on the 4th July 1781. Burns, as Depute-Master, being "oft honoured with supreme command", it devolved on him to sign the minutes of the transactions of the lodge; and it is worthy of observation that until March 1st, 1796 his name is signed Burness. 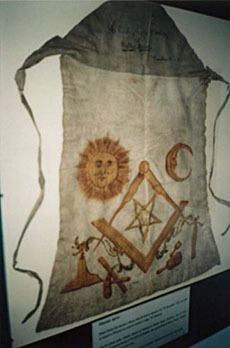 Robert Burns' masonic apron 'Of chamois leather, very fine, with figures of gold, some of them relieved with green, others with a dark red colour', given to him by violinist, composer, and freemason, Charles Kirkpatrick Sharpe of Hoddam on 12 December 1791.